AGME presented the most advanced riveting technology in Portugal. AGME Industries has been at the EMAF 2014 Exposition, together with their official distributor in Portugal, Europneumaq. This exposition was held in Oporto from the 19th to the 22nd of November. At our distributor´s stand, located in the Pavilion nº 5, Stand 5A12, the company showed the wide range of AGME riveting machines: resistant and durable machines with modular composition very adaptable to the clients´ needs, that incorporate the most advanced and efficient AC quality assurance systems and improved lubrication and energy saving devices. 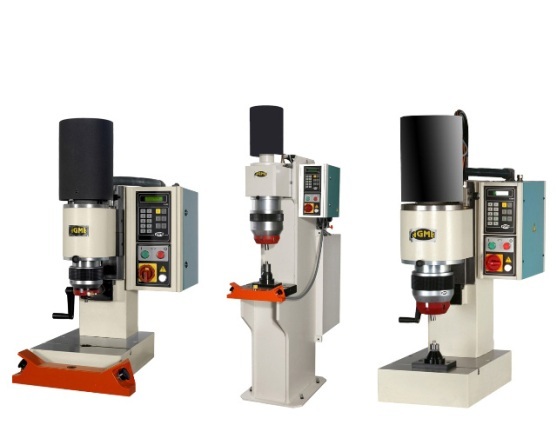 Within the forming field, AGME riveting machines and flexible riveting centers provide joining solutions to all rivet geometric configurations. In this exposition it was showed “in situ” the performing of AGME riveting machine with the most advanced riveting quality assurance systems. In addition, in this exposition AGME Industries showed very interesting and efficient automated solutions for components´ assembly, solutions that are always adapted to the clients´ technical needs. AGME Industries have more than 60 years of experience in the parts´ assembly processes and always provide their know-how in the different and particular technical specifications of very demanding industries such as automotive components, metal fittings and electrical household appliances industries, among others.